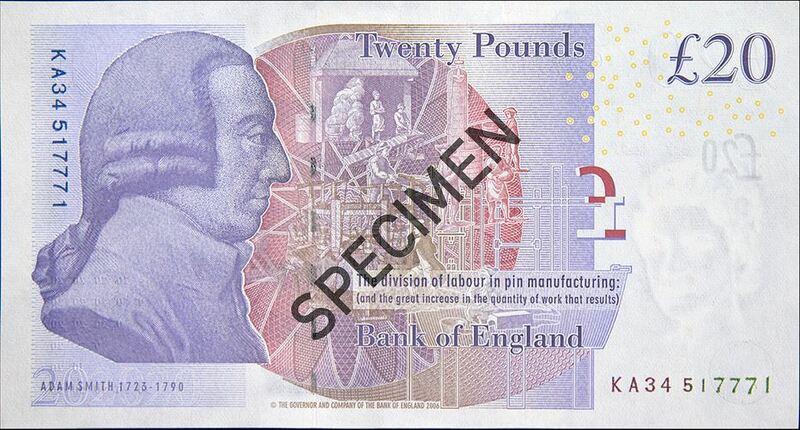 Current 20 pound note, drew some commentary because it features the Scottish economist, Adam Smith, the first Scot to appear on an English note. 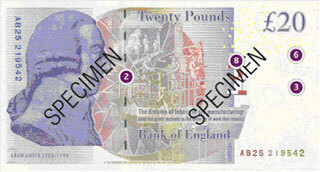 Previous issues of Bank of England 20 pound notes were known to have suffered from a higher incidence of counterfeiting (276,000 out of 290,000 cases detected in 2007) than any other denominations.The note, which also includes enhanced security features entered circulation on 13 March 2007. There is a metallic thread embedded in every banknote. This appears as silver dashes on the back of the 20 pounds sterling note. If you hold the note up to the light the metallic thread will appear as a continuous dark line. 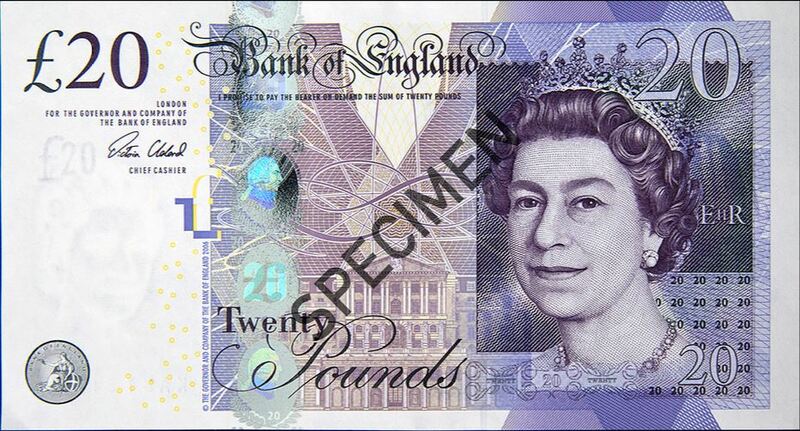 Using a magnifying glass, look closely at the lettering beneath the Queen’s portrait on the- you will see the value of the note written in small letters and numbers. 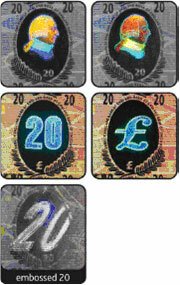 If you look at the front of the note under a good quality ultra-violet light, the number 20 appears in bright red and green. 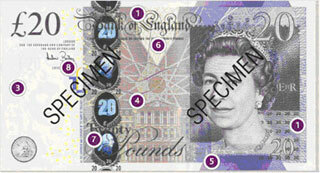 Randomly spread bright red and green flecks are also visible on both the front and back of the note. The remainder of the note ;appears dull in contrast. 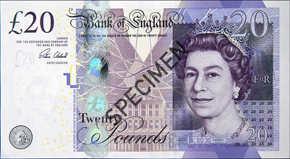 Hold the note up to the light and you will see coloured irregular shapes printed on the front and back that combine to form the pound symbol.